To avoid confusion, I deleted my earlier vote. Please see Post #530 for my revision. Big Fat Bacon started with much fanfare 11 years ago in a tiny shack across from the Star Tribune booth and now has its own building on Dan Patch Avenue. A quarter pound of bacon with maple glaze on a stick — of course it’s still around. Contingent members may be aware that our annual Smoke/Pie Day Party will be held during Memorial Day weekend. We will not be changing our plans to accommodate attendees of the crawl if that weekend is chosen. Sorry in advance for my dickishness, but this is the one day each year the world does revolve us. FYI, all votes have been recorded and adjusted per the voters wishes up to this point. Still need to hear from CNW, chickenplucker & Linda, Sundancer & Roz, Ralph Melton & icereamchick, and JRPfeff & Pie Diva. Your vote WILL make a difference if the date matters to you. Thank you for your diligence Buddy. I did vote, I think (unless the vote gremlins have reemerged). Just doodling here, but it's too bad there isn't a website or an app that allowed people to vote online & automatically tallied the results. Dang dude, I some how missed that, but situation rectified. Can I assume Pie Diva will match your vote? Keith, thanks for your reply. I'll just assume that however the vote turns out, you'll either be there or you won't, depending on work conflicts and the Memorial Day Holiday. The main thing was, I wanted to hear from you so I could start wrapping things up and let folks know how to mark their calendars. I'm REALLY hoping you and Brad get together on this Crawl so we can all say we spent the weekend with a ScreamingChickenplucker. I do not speak for Bobbi. Nor vote either. Please see my revised vote. Been watching some Wheel of Fortune lately? Next up: Jax Café in Minneapolis. 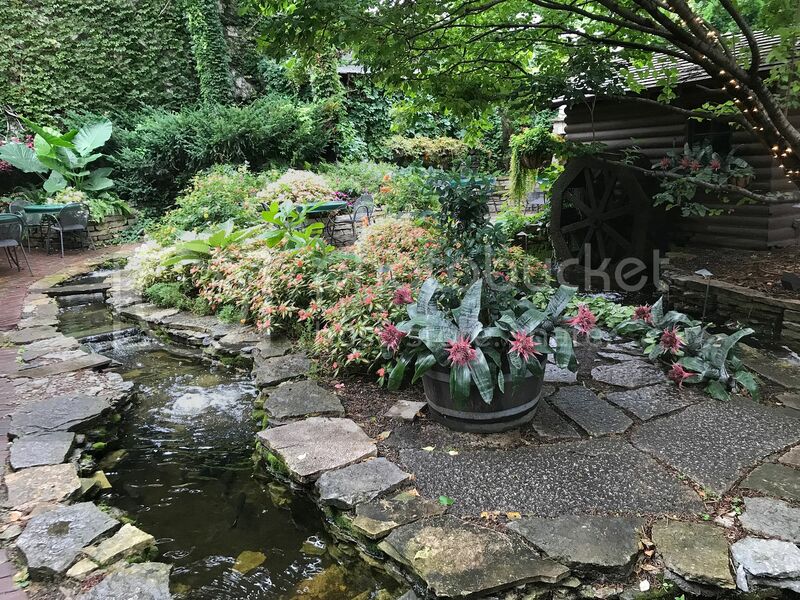 1) The backyard patio is absolutely gorgeous! Mariton was especially dazzled and couldn't stop taking photos. And one of things they are best known for is eating trout that you netted from the tiny stream. 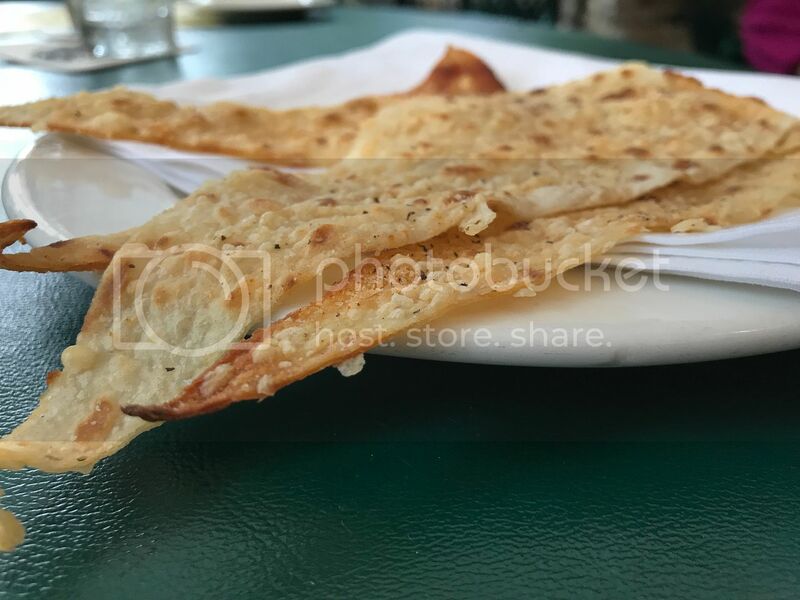 2) For those who want to try Scandanavian food, the lefse appetizer here is pretty darn good, although I don't know how traditional their preparation of baked parmesan lefse really is. 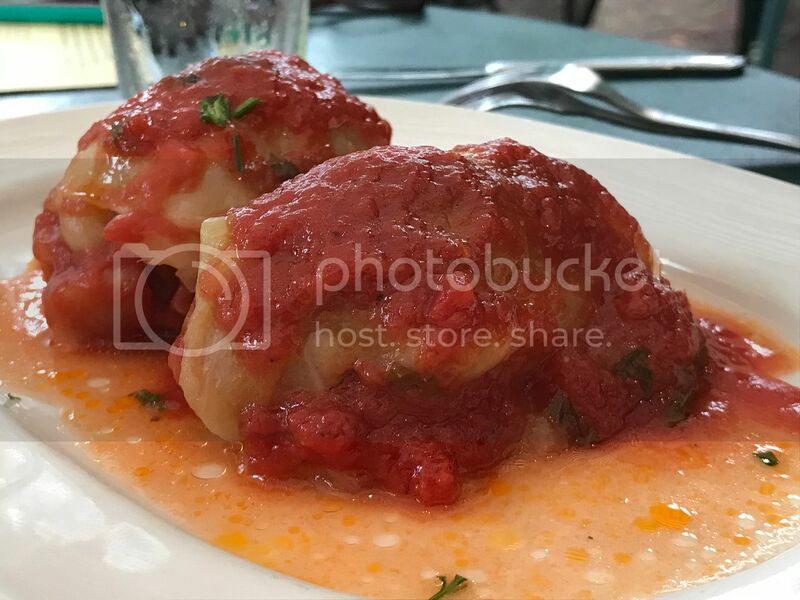 3) Our lunches of Polish sausage and sauerkraut for me and golabki for her were certainly satisfying. 1) There are three dining areas, none of them ideally suited for our group: a dark bar, a surprisingly elegant dining room and that gorgeous patio that doesn't have very many tables. 2) The place is expensive. My plate of one sausage link and sauerkraut was $14.95. 3) Service was fine, but our waiter looked shockingly like my mechanic. Nice enough guy, but every time he approached the table, I was expecting him to tell me I needed new brakes and rotors. Even though Jax Café is something of an iconic Twin City restaurant, this would not be a good choice for the Crawl. My advice would be if you need a break from all the food, go to Jax Café, sit out on the patio and relax with a drink. Next up: Tavern on Grand in St. Paul. 1) I make no bones about the fact that I love this restaurant. 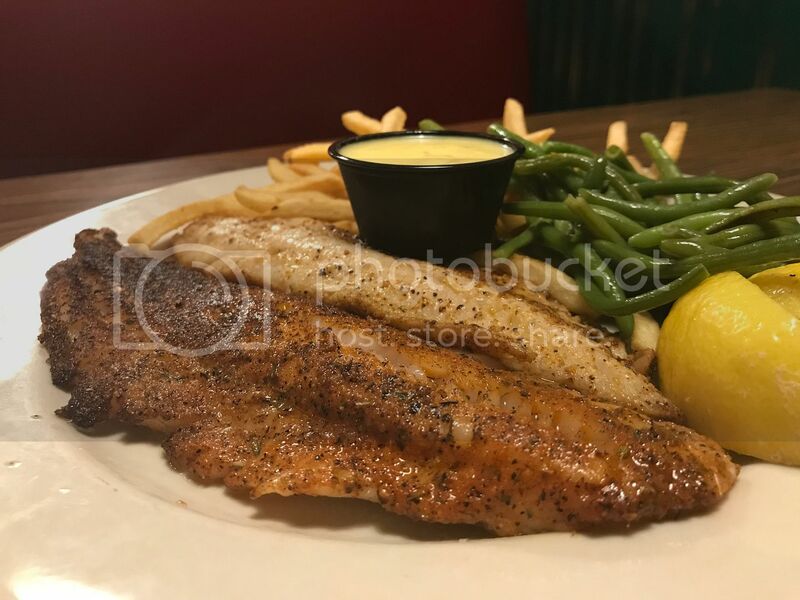 The walleye is superb and is served in so many different ways. 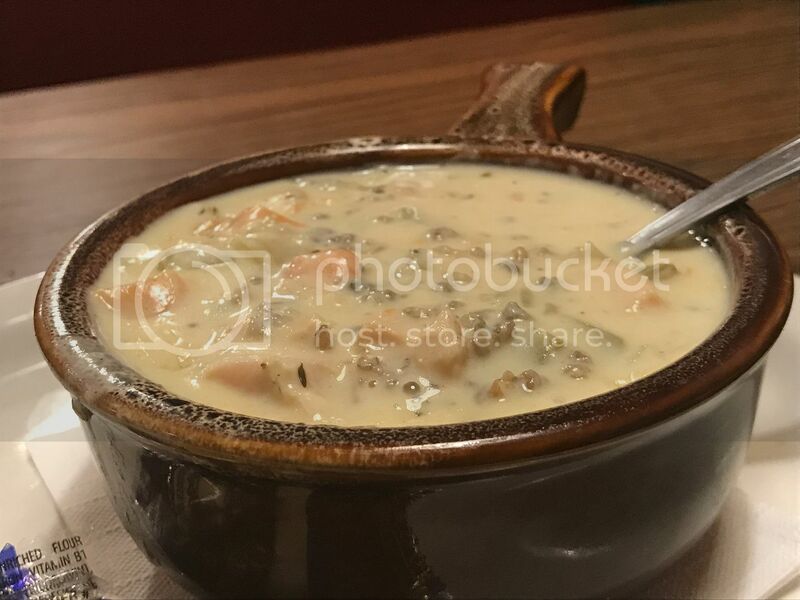 And the stealth item on the menu is that ultra-creamy chicken wild rice soup. 2) Plenty of room, it could easily handle any crowd. And on our most recent trip, we arrived at 7:00PM on a Friday and got right in, so they don't seem to get overly crowded. 3) Maybe more so than any other restaurant I have visited in the Twin Cities (and I am far from an expert), this place represents Minnesota. 1) The one time I strayed away from the walleye I regretted it. The tater tot hotdish a couple years ago was absolutely awful. How good is the rest of the menu besides the walleye? I have my doubts. 2) Parking is street parking and on our most recent visit, we had to park two blocks away. Definitely recommended, but the people who don't like walleye, they probably aren't going to be happy. I would have absolutely no reason to stray away from their wonderful walleye and commendable cream of wild rice soup. That's quite a code you've got there Paul, but I think I cracked it. Can I assume Roz votes the same as you? Thank you Mr. Melton. Will icecreamchick cast a separate vote, or shall I count this one twice? The voting to choose next year's Crawl dates closed last Friday. After frantically sliding the beads on my Hewlett Packard abacus for the last couple of days, I've finally determined the winning weekend. Rust Belters; wear a light jacket, folks from below the Mason Dixon Line; pack your long johns, Canadians; just wear your Speedos, because the winning weekend is....APRIL 25th-28th! Now the fun begins: planning this adventure. I've been consulting with our resident experts and reps from the tourism boards from both cities. So far we've got a list of 50 possible food candidates and another half dozen non-eating activities to choose from. We'll keep adding to the list through the end of the year, then start whittling down to the final 15-18 stops. The restaurants range from the traditional MSP fare (Scandinavian, Jucy Lucys, and Walleye) to the more exotic (Somali, Hmong, Russian, Kurdish), with some good old fashioned diners and dives (Al's, Mickey's, Band Box Diner) mixed in. I promise you a solid mix that will delight your taste buds before the weekend is finished. Thanks for voting. You're continued feedback is appreciated as the process moves along. Maybe we should do Cleveland in June? Start a Doodle Poll, Joe. I'm coming up empty in my photo files, but I say Donatelli's in White Bear Lake deserves consideration. I loved the pizza the one time I went. For better or worse it appeared on a Triple-D episode. I won't be able to attend so it will be up to someone else to make sure there's a lutefisk tasting.